1. Use your offers when you shop at Partners until May 31, 2017. 2. 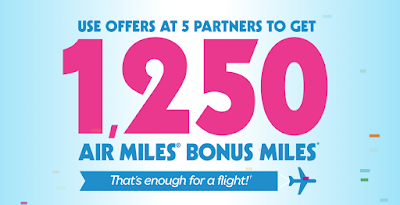 Use offers at 5 different Partners to get an additional 1,250 AIR MILES Bonus Miles! 3. 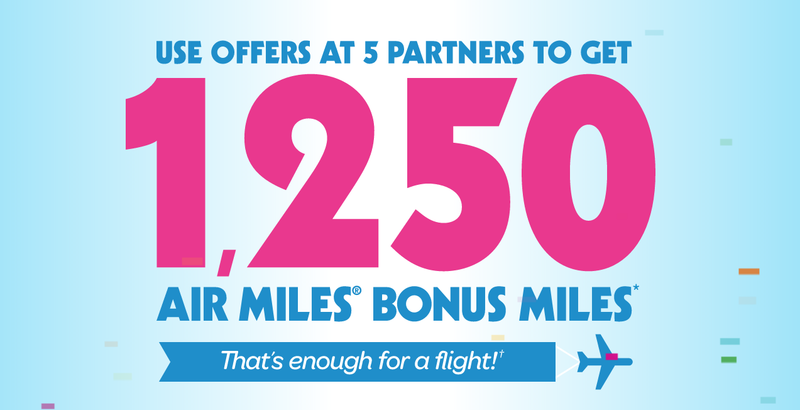 Plus, get Bonus Miles with each offer you use! Don't forget to select your province to check the correct partner offers in your location.